A controlled burn crept through the grass of a property in the 200 block of County Road 216 on Saturday afternoon, eventually burning a barn. Firefighters were mopping up two hours later. Firefighters from more than five fire districts responded to a controlled grass fire that burned a barn after the homeowner thought it was out on Saturday afternoon. 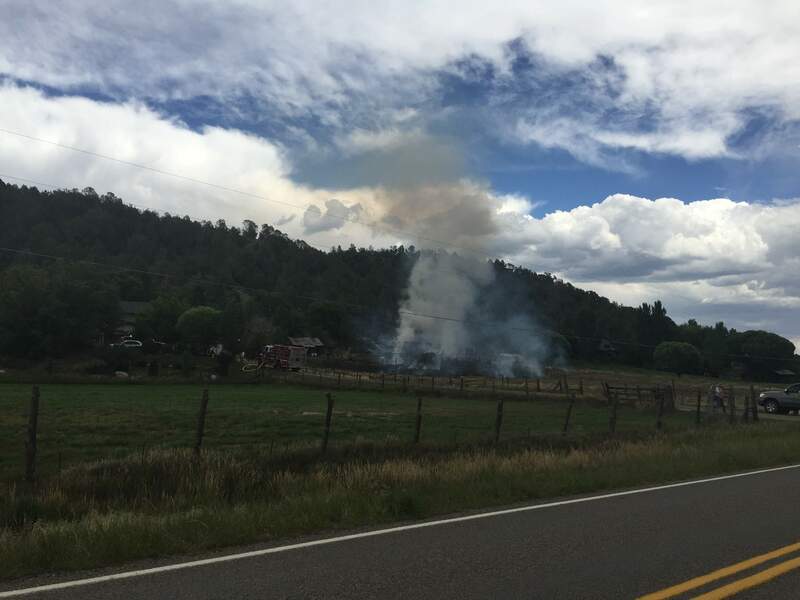 The fire burned about three-quarters of an acre at 252 County Road 216, south of Durango. It also destroyed a trailer and several trees, Durango Fire Protection District Deputy Chief Randy Black said. Firefighters were called out about 2:30 p.m. and were mopping it up about two hours later. It’s best to start controlled burns around 8 a.m. and have them out by 10 a.m. To make sure it’s out, the permit holder should put a hand in the fire pit, and if it’s still warm, use a shovel and water to make sure it’s completely out, Black said. Because there was potential for the wildfire to go east up the hillside toward three homes on top, Durango Fire requested assistance from Upper Pine and Los Pinos fire districts and the San Juan County and Cedar Hill, New Mexico, fire departments. “While the homeowner lost some valuable items stored in the barn, he didn’t lose his home,” Black said.